A total of 40 cattle forward comprising of 22 cast cows and 18 prime cattle. A plainer show of cast cows saw trade again very dear and more needed to supply demand. The sale topped at 141p for a British Blue cow shown by WH & DA Gass, Nunscleugh. Angus cows sold to 139p from TN Cavers & Co., Sorbie and Charolais to 138p from Messrs Baxter, Moss Side. Top price per head was £1,216.25 for an Angus from Messrs Cavers. 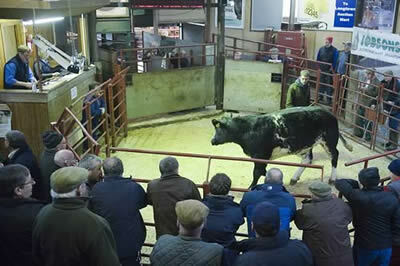 A good show of prime cattle sold very dear for all types and growing demand means more are required on a weekly basis. The sale topped at 242p for a smart black Limousin heifer sold by J&J&D Taylor, Englishtown following that was 238p also from Messrs Taylor. Bullocks sold to 229p for a heavyweight Limousin from D&E Lockhart, Faulding Cleugh. Angus 139p Sorbie, 136p Greensburn. Charolais 138p, 124p Moss Side. Galloway 107p, 105p, 100p Roan. Black & White 106p Jerriestown. Limousin Heifers 242p, 238p, 230p (x2), 222p Englishtown. Limousin Steers 229p, 227p Faulding Cleugh, 226p Englishtown, 222p Faulding Cleugh. Charolais £1,021, £892 Moss Side. Black & White £673 Jerriestown. Limousin Steers £1,557, £1,396 Faulding Cleugh, £1,389 Englishtown. Limousin Heifers £1,403, £1,311, £1,306, £1,249, £1,243 Englishtown. 5,606 prime hoggs were another large show on the week. With quality similar, the overall average was 209.1p with the SQQ average 211.7p, and Beltex and Texel hoggs selling at a premium. Top price 284p for Beltex from Messrs Little, Hollands, Penton and many pens selling between 250-280p per kilo. Export and commercial hoggs sold between 210-230p per kilo. Heavy hoggs again in strong demand making 200-220p per kilo and to a top price per head of £125 for Texels from Matthew Watson, Four O Boot, Harker. Light hoggs if good meat sold between 195-215p per kilo and to a top of 247p from Messrs Kennedy, Lurgan Farm, Aberfeldy. Beltex 284p Hollands, 83p Tinnishall, 277p Shankcastle & Drumcairn, 274p Waterside, 273p Sorbie, 268p Drumcairn 7 Hollands, 267p Uppercleuch, 264p Killocraw & Langdyke Cottage, 262p Wham Head & Uppercleuch, 261p Lurgan, 257p Killocraw, 256p Golden Lane, 252p Wham Head, 251p Drumcairn, 248p Golden Lane, 247p Burnside & Lurgan, 246p Killocraw, Drumcairn & Sorbie. Texel 282p, 280p Compstone End, 276p Gallowberry & Quarry House, 270p High Greenhill, 269p Station Yard, 269p, 265p Quarry House, 264p Compstone End, 263p Quarry House, 262p Wham Head, 261p Leaona Villa, 258p Dunjop, 256p Uppercleuch & Dunjop, 255p Wham Head, 254p High Stenries, 253p Burray, 252p Broadlea Cottage, 250p High Stenries. Suffolk 232p Hallburn, 231p Claylock, 228p West Scales, 224p Archerbeck & Bromfield, 223p Twislehope, 221p Sceugh Dyke, 220p Killocraw, 219p Archerbeck, 217p Broomhill & Sceugh Dyke, 216p Ashley Park, 215p Olrig Mains, 214p Low Hallburn, 213p Fellend & Flex, 212p Hallburn. North Country Cheviot 232p Roughet Hill, 216p Whitecroft Mains, 214p Hownam Grange, 213p Whitecroft Mains. Cheviot 229p Longburgh Fauld, 226p Geltsdale, 224p, 223p Pouton, 223p Longburgh Fauld, 222p Raeburnfoot, 220p Sceugh Dyke, 217p Clonrae, 216p Pouton, 215p Twislehope, 214p Raeburnfoot, Yett & Broadlea Cottage, 212p Burnside, 211p Newtown, 210p Catslackburn. Cheviot Mule 226p Olrig Mains & Marwhirn, 220p Ashcraig, 216p, 211p, 210p Marwhirn, 207p Catslackburn, 201p Priory Nook, 200p The Land. Blackface 225p, 220p Roughet Hill, 219p Balachallan, 216p Sorbie, 212p, 211p Arnicle, 211p West Scales, 209p Bush of Ewes, Catslackburn & West Scales, 207p Milnmark, Balachallan, Maryholm, Burnside & Knockreoch, 206p Culquhasen, Longburgh Fauld & Wham Head, 205p Bush of Ewes & Craighead. Cross 218p Dalbhraddan & Rawburn, 214p Burnside, 213p Culquhasen, 212p High Parkfoot, 211p Ashcraig, 210p Rawburn, 209p Culquhasen, 205p Archerbeck, 204p Compstone End, 203p Rowanburnfoot, Geltsdale & Low Stokoe, 202p Miller Hill, 200p Newtown, Hollands, Rawburn & Spoutbank. Charollais 216p Thackwood, 213p Auchengray, 213p, 202p Ashley Park. Swaledale 199p Batey Shield, 197p Wham Head, 189p Low Stokoe & Whinneyknowe. Beltex £125 Hollands, £113 Killocraw, £112.50 Waterside, £112 Uppercleuch, £111.50 Aspatria Hall, £100.50 Drumcairn, £110 Golden Lane, Langdyke Cottage & Drumcairn, £109 Shankcastle, £108 Drumcairn, £104.50 Hollands, £103 Langdyke Cottage, £102.50 Shankcastle, £101 Drumcairn. Texel £125 Four o Boot, £124, £121 Quarry House, £120 Flex, £120, £118 Glenrath, £118 South Boreland, £117.50 Rawburn, £117 Kirkhouse, £116 Bedlormie Mains & Quarry House, £115 Compstone End, £114 Flex, Quarry House & Drumcairn, £113.50 Broadlea Cottage, £113 Broomhill & Quarry House, £112.50 Westernhopeburn, £112 Dunjop. Suffolk £116 South Boreland, £111 Flex, £109.50 Sceugh Dyke, £108.50 Broomhill & Creca Hall, £107 Sceugh Dyke, £106 Cowburnrigg, £105 Lynegar & Flex, £104.50 Fellend & Dunjop, £104 Flex & Dunjop, £103 High Glen Triplock, £100 Sceugh Dyke, £99 Low Hallburn & Beckfoot. Cheviot £103.50 Sceugh Dyke, £100.50, £98.50 Becks, £98 Catslackburn, £96.50 Yett, £94.50 Catslackburn & Twislehope, £93.50, £93 The Land, £91.50 Longburgh Fauld, £90.50 Geltsdale, £90 Becks & Broadlea Cottage. 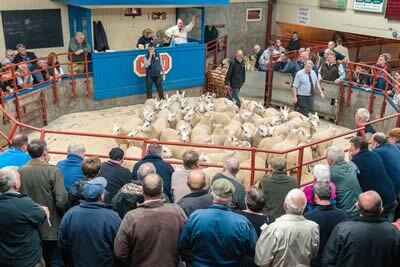 North Country Cheviot £100 Bedlormie Mains, Hownam Grange & Clerk Hill, £95 Clark Hill, £94 Hownam Grange. Cross £100 Rawburn, £96.50 Westerhopeburn, £95 Miller Hill, High Parkfoot & Ashcraig, £94.50 Eastside, £94 Burnside, £92 Compstone End, £90.50 Rawburn, £89.50 Culquhasen, £88 Newtown, £87 High Parkfoot, £86 Archerbeck, £85 Rawburn. Charollais £100 Auchengray, £99.50 Thackwood. Cheviot Mule £98 The Land, £95 Taldale, £94.50 Priory Nook, £94 The Land, £92.50 Olrig Mains. Blackface £96 Ashcraig, £95.50 Craig Douglas, £94.50 Uppercleuch, £92.50 Longburgh Fauld, £87.50 Balachallan, £85.50 Roughet Hill, £85 Milnmark & Burnside, £83.50 Roughet Hill, £81.50 Catslackburn, £80 Clonrae. 4,596 Cast ewes and rams were a similar show and similar trade from the usual large ring of buyers. Small, lighter ewes if anything cheaper on the week. The sale topped at £155 for Texel ewes from Messrs Dean, Kirk House, Brampton with 615 ewes over £100 to average £114.85 per head. Light ewes to £72 for Blackface from Messrs Hunter, The Steel, Hexham. Cast rams to £140 for a Charollais from Messrs Wales, Thackwood, Penrith. Texel £155 Kirk House, £154 Fineview, £151 The Wreay, £150 Aspatria Hall, £148 Kirk House, Eastside & Craig Douglas, £147 Beckfoot, £144 New Hummerbecks, £143 Viewley, £142 Knock, £140 Rawburn, The Laurels & West Broadmoss, £139 Chaseside & The Laurels, £138 Heatherglen, £137 Eastside & Viewley, £136 Heatherglen, Kirk House & Tercrosset, £134 The Wreay, £130 Dunjop, Kirk House & The Wreay, £129 New Hummerbecks, £128 Lairdlaugh & Aspatria Hall, £127 Bardnaclaven, £126 Lairdlaugh, £125 Viewley. Beltex £134, £118 Aspatria Hall, £114 The Wreay, £112 Dundraw, £106 Tercrosset, £102 The Wreay. Charollais £131 Viewley, £126, £111 Thackwood, £110 Golden Lane, £109 Thackwood. Suffolk £117 Beckfoot, £115 Chaseside & Knock, £114 Beckfoot & Knock, £112 Knock & Bardnaclaven, £110 Thuster Mains, Viewley, Sowerby Wood & Knock, £109 Heatherglen, £108 The Laurels, £107 Dunjop & Viewley, £106 New Hummerbecks, £105 Chaseside, £104 Eastside, £103 Burray & Heatherglen, £102 Burray, £100 Beckfoot, Shawhill & West Millhills. Half-bred £101 Smailholm Mains, £94 Golden Lane. North Country Cheviot £100 Beckfoot, £91 Viewley, £90 Kirk House & Burray, £89 Shawhill, Golden Lane, West Millhills & Lythmore. Cheviot Mule £99 Viewley, £85 Outertown. Blue Faced Leicester £94 The Steel, £92 Westend, £89 Nunscleugh. Cross £86 The Steel, £84 Cowburnrigg, Rawburn & Westend, £83 High Glen Triplock & Chapel House, £81 New Hummerbecks, £80 West Foreshield, Broomhill, Demense & Saughland, £79 Shawhill, £78 Skinnet & Cobble Hall Barn, £77 High Parkfoot, £76 High Greenhill, Harley Croft, Blackpark & High Mossthorn, £74 Moorhills, £73 Skinnet & Aspatria Hall. Blackface £72 The Steel & Allensgreen, £69 Quarry House, £67 Carrick, £66 The Steel & Brisco Meadows, £62 Crindledykes, Howford, Flemington & Golden Lane, £61 Harehead, £60 Cowburnrigg, £59 Uppercleuch. Lonk £63 Bush of Ewes. Cheviot £68 Clerk Hill, £65 Linhope, £60 Greenburn, £59 Dunjop, £58 Lynegar & Twislehope, £57 Gilmanscleugh & becks, £54 Glenlea, £53 Kirk House & Knock, £51 Twislehope, £50 Knock. Lleyn £55 Saughland, £54 Peddar Hill. 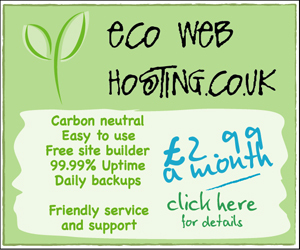 Easycare £54 Raby Grange, £48 Blackhaugh. Swaledale £52 High Parkfoot, £50 Beacon Rigg, £46 The Bog, £45 Nunscleugh, £44 Uppercleuch. Charollais £140 Thackwood, £115 Chaseside, £110 Beckfoot, £101 Viewley. Texel £136 West Millhills, £124 Balachallan, £110 Hownam Grange, £108 Wellington, £103 West Foreshield, £100 Toftholm, £96 High Greenhill, £95 Marygate. Suffolk £120 Harehead, £108 Thuster Mains. North Country Cheviot £112 West Millhills.